The wall is what we call a "work mode" strategy which allows you to work off your tasks and projects in a different "mode" (not just a regular list). The wall gets its name from a real-world productivity strategy where you put post-its for each task on a wall and take them off as you complete them. 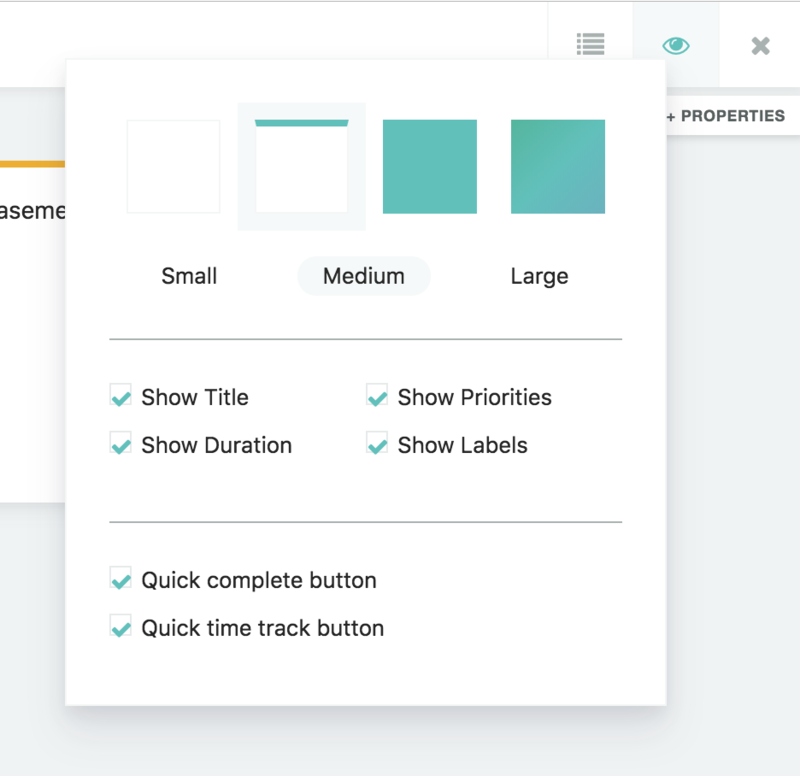 Some users prefer to see their tasks as squares vs. a list as it feels less overwhelming or because it gives them a better overview over what they have to do. The neat thing about the wall is that you can quickly change what list it is showing to you and work directly from here. 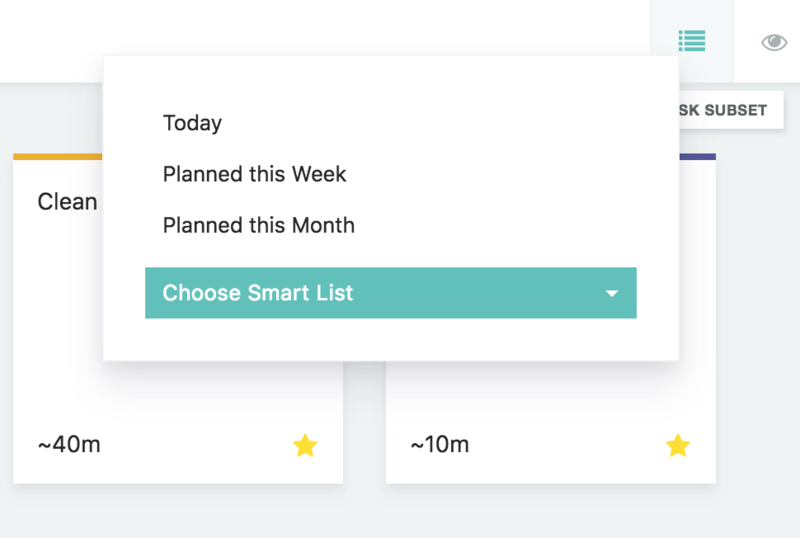 Pick a Smart List you created or see your tasks/projects for the week if using the "Planning ahead" strategy. 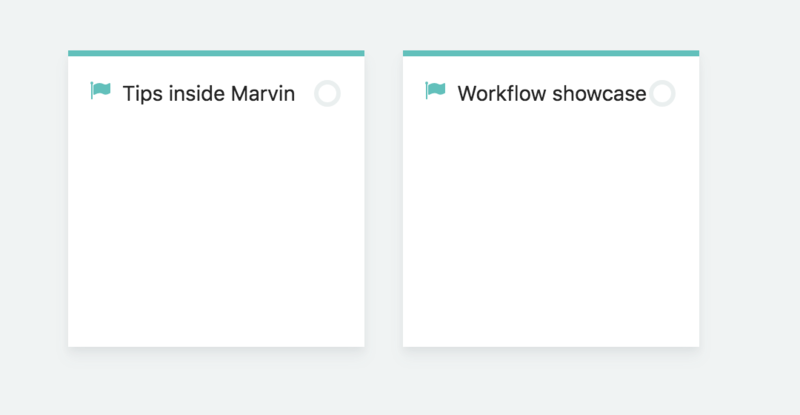 The wall will display both tasks and projects depending on which list you have selected. Clicking on a tile focuses you on the task. Clicking on a project tile opens the project fullscreen view. On the top right you can change the settings for your wall tiles, making them appear, smaller, bigger, colored etc. You can also hide attributes from the tasks and turn this into a bit of a game (e.g. only seeing the length of a task but not the title/what it is). 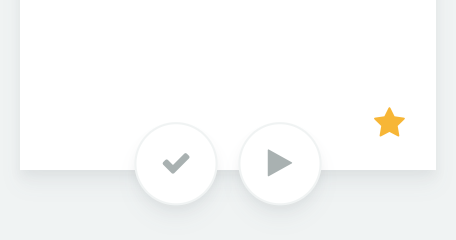 Optionally you can display buttons right on the task so you can quickly complete and start tracking them (if using the time tracking strategy) without clicking on them first.